Vodafone has revealed more details about its partnership with Sony for the PS Vita which sees the company as the exclusive 3G carrier for the handheld. TechRadar revealed back in November that Vodafone would be the exclusive 3G network for the PlayStation Vita but at the time nothing was mentioned about pricing. Now Vodafone has updated its details and revealed just what you will get in the bundle and how much everything will cost. 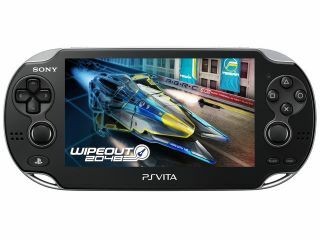 The PlayStation Vita 3G will be coming to Vodafone stores for £279. The bundle will include a free 4GB memory card, a PAYG SIM card which when topped up with £5 will get you a free download of WipEout 2048 and 250MB of data lasting up to 30 days. Other than 3G connectivity, the main difference between the PS Vita 3G and the Wi-Fi only version is that you get in-built GPS so you can track what your friends are up to. If you would prefer the Wi-Fi version then it is currently, on Amazon for £218.99 – with the PS Vita UK release date set for 22 February. The TechRadar PS Vita review gave the handheld 4.5 stars and said "as a portable console this is about as good as it gets". That sounds like we are channelling MasterChef but you get the idea.